AMAZON NO. 1 BEST SELLING BOOK. The same can't be said for Alabama, the young chestnut mare purchased by Karen's moneyed parents. Karen is expected to succeed, even though other club members - such as Niall, a farmer boy - resent the fact that her father bought up farmland for building. Karen's only ally is Jen who works at the livery yard, training young horses. 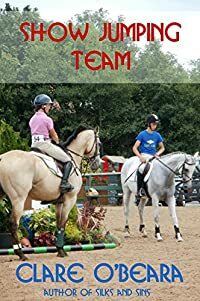 Can the young adults put aside their differences and learn to be a team - when it really matters? From the Amazon No1 Bestselling author of Murder Against The Clock and Rodeo Finn.